This is really so exciting. The lovely Marichelle of hearthandmade is hosting the next Shop Live event on etsy. She really does an excellent job of explaining what it is all about...so you should really head over to her post to check it out! I am so, so honored to be one of the 30 artists featured. My "where ribbons come from..." photograph is the piece Marichelle chose to feature. It will be 20% off and shipped free for the Shop Live event. 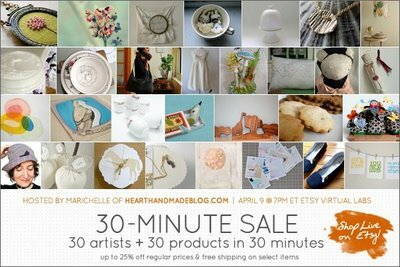 In honor of this lovely occasion I am hosting an all-day sale in my etsy shop (8am-midnight eastern). My first sale!!! 20% off of all prints. Just enter the code "shopliveHH" in the comments section of your blissful image purchase and I will promptly refund you the 20% off of your purchase!! !